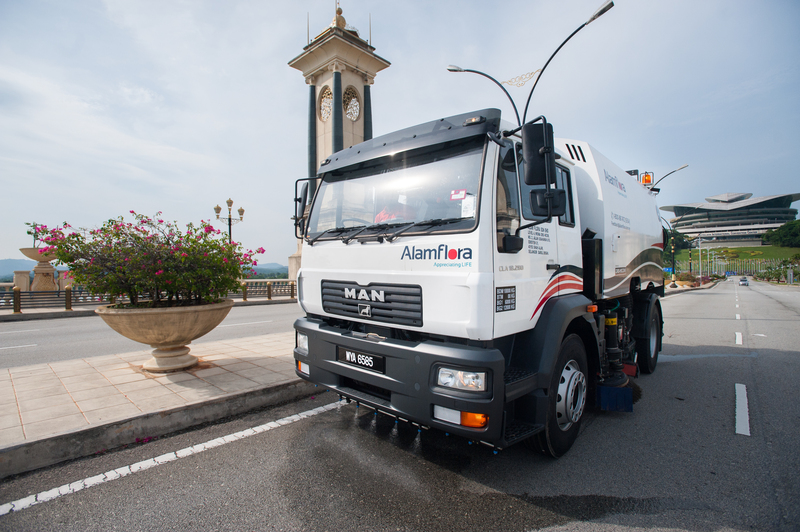 Alam Flora Sdn Bhd, one of Malaysia's leading disposal companies, has successfully been operating 158 MAN CLA trucks since the beginning of this year. The vehicles are from MAN's production in Pithampur, India, while their special bodies were fitted by the Malaysian body-building company DRB-HICOM. Some of the 158 MAN CLA 18.280 4x2 trucks are being used for waste disposal and for this purpose are equipped with rear-loader bodies and lifters for the waste containers. Others of the vehicles are fitted with bodies enabling them to function as road sweepers. The robust driveline consists of a 280-hp six-cylinder in-line engine and a nine-speed overdrive gearbox. Furthermore the vehicles are equipped with a wear-free exhaust valve brake, which both enhances engine braking and lengthens the service life of the service brake. Great comfort and functionality are the hallmarks of the medium-length long cab, which also has a bunk for use during breaks. The cab has ergonomic seats and an adjustable steering wheel, a clearly-arranged instrument panel and easy-to-reach function switches. The MAN CLA offers proven technology at competitive prices, meeting all the requirements in terms of the ruggedness and reliability needed under tough and challenging operational conditions. Produced by the MAN plant in India, the vehicles are adapted to the demands of the Asian and African target markets. This combination of technology that is as durable as it is service-friendly makes the MAN CLA a good choice in countries where the infrastructure is less developed. These robust trucks are now being exported via existing MAN sales structures to 30 countries. 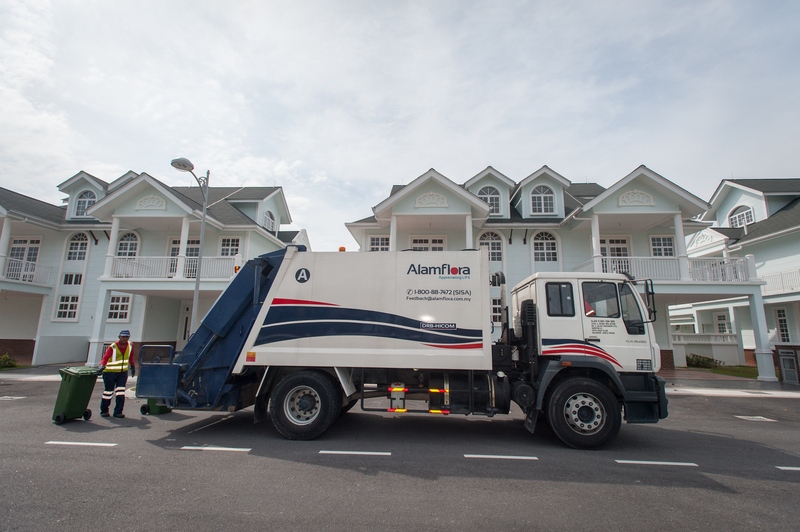 Alam Flora is one Malaysia's leading disposal companies. Increasing population results in a growing demand for disposal - on average, Alam Flora takes away more than a million tonnes of rubbish every year.